It's a story based on Indian politics and administration with a perfect blend of suspense and thrill. The story begins with the year 2019 where the Indian Prime Minister Mr. Narendra Doshi is on the hit list of terrorist organizations because his Make in India campaign run successfully and it affects the Chinese and European countries economy. Ajay Kaamte, director of SPG (Special Protection Group), is tasked with protecting the PM because Lok Sabha elections are near and the SPG already thwart 49 assassination attempts on Mr. Doshi. Poorvi Acharya, news reporter, and a gossip queen who does anything to come into limelight. Nalini who works in the PR department at the PMO. 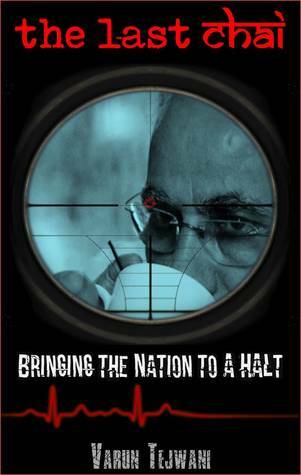 The story tells us that sniper attack was old fashioned and in 2019 terrorist use Cyanide and it became the preferred weapon for Indian PM as he enjoys his favorite beverage, chai very frequently. Every dish was tasted before serving to the PM but during SAARC meeting in Islamabad PM was poisoned and went to the Coma. Ajay was the prime suspect in the assassination attempt. From this point, the whole story takes a turn which gives goosebumps to readers especially when Ajay who worships Mr. Doshi reveals his hatred towards Mr. Doshi's unfulfilled promises or minority's issue. In the meantime, Poorvi uploads the recorded confession of Ajay and it goes viral within a few minutes. After that, the President declares the emergency for 24 hours and jam all communication network. Poorvi flies to Israel on the same day where she got to knows that this entire emergency was a cover-up for something big. In India, seven thousand people were arrested by the army. Nalini with the help of Raghuram, an IB officer unrevealed something about AIIMS and the administration which makes things more clear about the emergency situation and Ajay's confession. The author very well described the Rohingyas people, Hashashins, biological warfare and working of RAW, IB, NIA, CBI and SPG. The author does quite impressive research on characters and storyline is amazing. The language is a little difficult to understand and there are some Hindi words which are used unnecessarily. The story keeps the readers hooked but at some point, it is slow paced and boring. It gives some insightful contents. There are some minor flaws in the story but overall it's a good read. I highly recommend this book to those who love suspense thriller and interested in Indian politics. My favorite line from the book - In politics, there are no permanent friends or enemies, just permanent interests.